There are a few major differences between short sales and foreclosures. Here is what you need to know about each term. Whether you’re a home buyer or a seller, it’s important to know the difference between a short sale and a foreclosure. Today, I’d like to break both terms down for you. A foreclosure is a term used to refer to a home that has been seized by a lender after the homeowner has failed to make full principal and interest payments on their mortgage. This allows the lender to seize the property, evict the homeowner and sell the home as stipulated in the mortgage contract. Short sales are different from foreclosures. A homeowner, is considered “short” when the borrower owes more on their property when combined with closing costs and commission, than the property is worth in the current market. A short sale may allow eligible borrowers to sell their home for less than the amount owed on the first mortgage. In doing so, the borrower may be released from their obligation to pay back the first mortgage under its original terms. This sounds easy enough, but a short sale can be a complicated process. I’d recommend a listing agent who is a certified distressed property expert, as it can be very arduous to close a short sale. A short sale can be a complicated process. A short sale may allow a homeowner to avoid foreclosure, but it is not a “get out of my mortgage free" card. In reality, the homeowner must have their legitimate financial hardship approved by their lender in order to be released from the mortgage obligation. Acceptable hardships include loss of a job, death of a spouse, severe illness, divorce, mandatory job relocation or military PCS, or medical bills, to name a few. If you’d like any more information on short sales versus foreclosures, simply give me a call or send me an email and we’ll send you our guide to short sales and foreclosures absolutely free. In the meantime, don’t hesitate to reach out to me with any other questions. I look forward to hearing from you! What Are 6 Things Buyers Hate to See in a Home? There are certain features of a home that turn buyers off more than others. We are here to tell you what those features are. 1. Outdated countertops. Update your countertops with laminate, granite, quartz, or Corian/HI-MACS if you can afford it. Check with your agent first, though, because this update might not be smart based on your situation. 2. Brightly colored walls. Pink, purple, or blue walls might work for your style or furniture, but they might not work for a potential home buyer who wants to envision themself living in the home. Paint with neutral colors to make your home a blank canvas with potential buyers, but avoid white, as it is actually a sterile color and does not convey a warm environment. 3. Carpet in the bathrooms. Replace it with tile or laminate and walk away. Carpet in the bathroom is a huge mistake. 4. Outdated kitchen appliances. Buyers pay special attention to kitchens. If you have outdated or mismatched appliances, they will be turned off. Replace your appliances by watching for package sales. The investment could be well worth it depending on your situation. 5. Lack of light. Buyers don't want to walk through a cave. Open up your windows, pull your curtains back, and let that natural light in to make the home inviting and bright. LED or incandescent lights are easily installed and will come on bright with no warm up time. 6. Outdated lighting and fixtures. This is a really easy update to make. You can update your lighting fixtures and door hardware for less than $1,000 and it will change the entire look of your home. Try brushed nickel or oil-rubbed bronze instead of brass. If it’s made of fake brass or wood, it’s likely dated. If you have any questions for us, feel free to reach out by giving us a call or sending us an email. Ask us a question in the question box below and if we use your question in our next video, we will send you a $25 gift certificate as a thank you. We look forward to hearing from you soon. How Do You Know If You’re Ready to Buy a Home? Only you and your family will know if it is the right time to buy a home. Here are three questions you should ask yourself before making a decision. If you’re looking to buy a home right now, you’re probably getting all kinds of advice from your friends and family. However, they might not be aware of your needs and what’s actually happening in today’s marketplace. Luckily, there are three questions that will help you determine whether now is actually a good time to buy in today’s market. 1. Why are you buying a home in the first place? Forget finances for a minute and just think about why you began considering purchasing a home in the first place. For most people, the reason has nothing to do with money. What does owning a home actually mean to you? Which non-financial benefits will you and your family gain from actually owning a home? For most people, buying a home has nothing to do with money. There are four main reasons that people own a home. First and foremost, you need a safe place to live. If you’re moving to Alaska, you’ve probably figured out that the rental market can be a little tight. If you’re looking to find safe and affordable housing, buying may be your best option. Another reason to own a home would be to have a place to raise your children. School districts can be very important to buyers with kids. You also might need more space for you and your family or you might want control of your space. I was in the military, so I had the option of being in post quarters. I wanted to be off-post with an acre of land. You can have all the space you want if you buy a home. The fourth reason comes down to what makes financial sense for you. Rental rates in Alaska are high right now, so if you’re going to live in the house for three years or more, buying a home will be a much better option for you than renting. 2. Where are home values headed? CoreLogic projected a 5.3% increase in home values over the next 12 months across the nation. Based on that information, if you’re planning on buying a home that costs $250,000 today, that home will cost you an additional $13,250 if you wait until next year. You will also need a higher down payment to account for that increased home price. Timing is everything in real estate, so be sure to buy while home values are on the upswing. 3. Where are mortgage interest rates headed? As you know, the long-term cost of a home can be dramatically affected by interest rates. Interest rates are going to go up, but we don’t know when. The Mortgage Bankers Association, National Association of Realtors, Fannie Mae, and Freddie Mac have all projected that interest rates will increase over the next 12 months, so it’s fairly likely that interest rates will go up soon. Only you and your family will know for sure whether now is the right time to buy a home. Answering these three questions will help you make that decision. If you have any other questions, give us a call or send us an email. My team and I would be happy to help you! "We got phenomenal results - we had two competing offers before it even went on the MLS! Wes and his team always go above and beyond to tell you the truth. Wes is a very driven person and he wants to succeed. He has trained his team that way also. I've worked with him both buying and selling my house. They work in a team environment, there's always somebody watching your back in every phase of the transaction, and that gives me a lot of comfort." Recently, someone asked us, “Can we buy and sell a home at the same time?” The answer is yes. However, it is one of the toughest things to do in real estate. Fortunately, it also happens to be one of the things we do well at Madden Real Estate. That’s because our team structure gives you leverage. You have a listing partner working on preparing, marketing, and selling your current home, and you have a buyer specialist asking as your personal shopper and negotiator. Those two skillsets and the time it takes to complete each transaction are immense, so having two professionals doing them at the same time vastly increases your chance for success. Failure is not an option when selling your home. We handle price, condition, and marketing so you can position your home to perform well in the marketplace. We also work to create demand for your home. 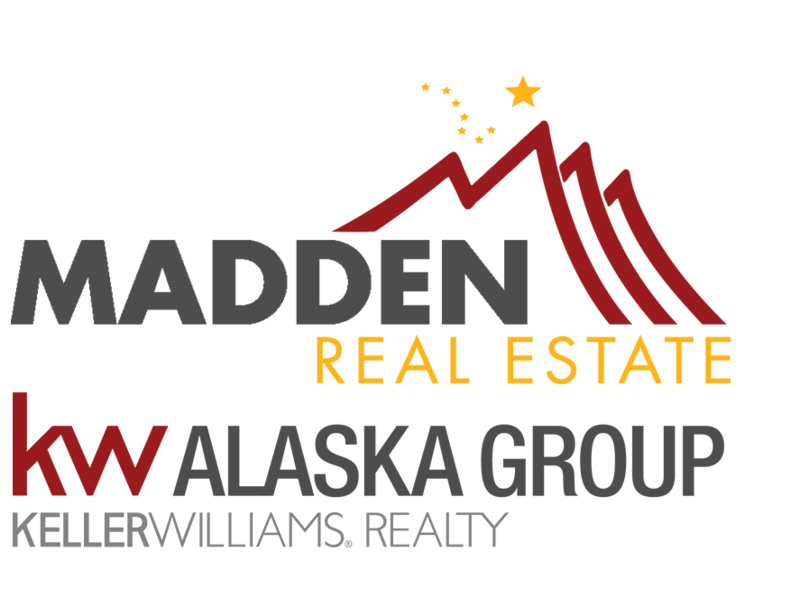 We have one of the biggest buyer brokerages in the state of Alaska. We can get a line of buyers waiting to see your house. We can also find a buyer with the price and terms you want before your home hits the MLS. Finally, have a contingency plan. If things don’t go well, you may need a place to stay in the interim. We can help you find a back-up. You may even be able to use our Guaranteed Sold program. What's the Secret to Selling Your Alaska Home Quickly and for Top Dollar? If want to sell your home for top dollar, it all comes down to your pricing strategy. What we're going to cover today could be considered top-secret information because these techniques have helped thousands of our clients sell faster and for more money than the market average. The days of doing a CMA and dictating to the seller what price they should list at are over. We look at pricing as a joint decision between us and a client. Our job is to present the information to you so that you can make sense of it in order to understand why we want to put a certain price on the home. Our clients understand how real estate pricing works simply because we take the time to go over it with them! Don't worry about being totally unrealistic about the price you want to get because we're going to let you know. We're going to tell you what you need to hear, not necessarily what you want to hear. This is to benefit you and the sale of your home. When we sit down to find a price, we pull from three groups of properties. Preferably, we will look back to find five recently sold homes that match the criteria of your home. Then we'll take a look at five or so pending listings if we can find some that match your criteria. Finally, we are going to pull as many active listings that fit the criteria of your listing as possible; since this is your competition, we want to use it as a guide for pricing. Simply put, we want to price your home competitively against our competition because buyers are doing comparison shopping online. If your home is the highest priced in your price bracket, it could have devastating results. Many home sellers think they can just come down later, but I'll explain why that's a bad idea in a future video! If you have any questions about how to competitively price your home, or if you have any real estate questions of any kind, please don't hesitate to reach out to us. We would love to hear from you! There are three important things not to do when selling a home in the Alaska area. Knowing these three mistakes will save you money, energy, time, and many headaches. Don’t make the same ones! Don’t set an unrealistic price. This is the most important. You’ll want to check out this video to understand how detrimental high prices can be. Ultimately, a compelling price will help you dodge price reductions. Examine the market and study the competition. Don’t sell without an agent. Hire a local expert. We have a free Realtor interview guide to help you find the best agent for you. This is your biggest investment in this process, and it pays off to have an insider real estate professional as a resource. Don’t skip marketing your property. A sign on your front yard isn’t enough. A Realtor should have a strong strategy to help sell your home. This covers online and mobile advertising. Don’t neglect repairs. Fix anything that could come up during a home inspection. We want our clients to have a home inspection before listing. This avoids frustrations with negotiation down the line once you receive an offer. Upgrading will help you earn a high return on investment as well. If you have any questions about real estate, please reach out by phone or email. I’d be happy to talk with you!